Remember we’re available to help. You can reach us via our Facebook page or our Twitter account (@superikigames). 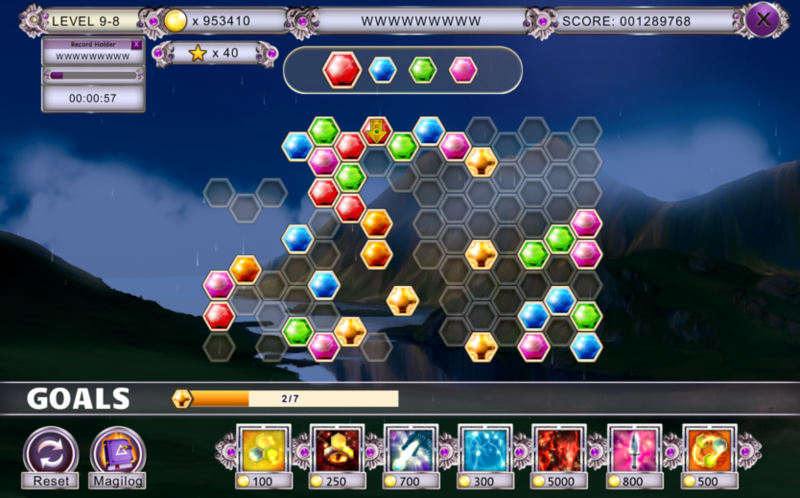 The key for level 13-7 of DragonScales 3 is to form a way to access the pink scale on the left side at the bottom. Our approach starts by removing the rocks surrounding the central arrow, identified in Figure 1. 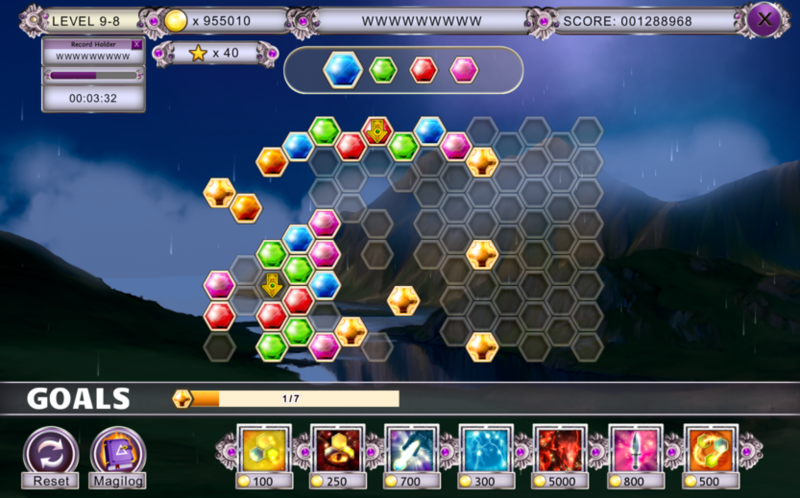 Remember: to remove rocks just form combinations in adjacent cells. 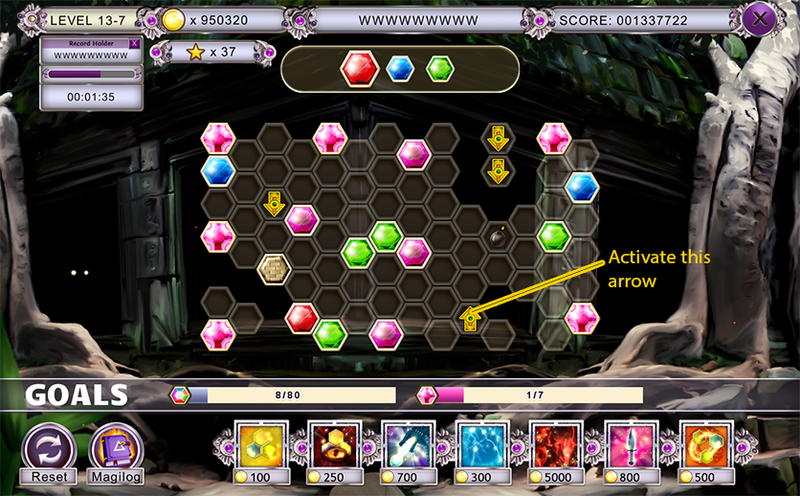 Now focus on the 2 adjacent arrows, on the top row (Figure 3). Activate one of them. 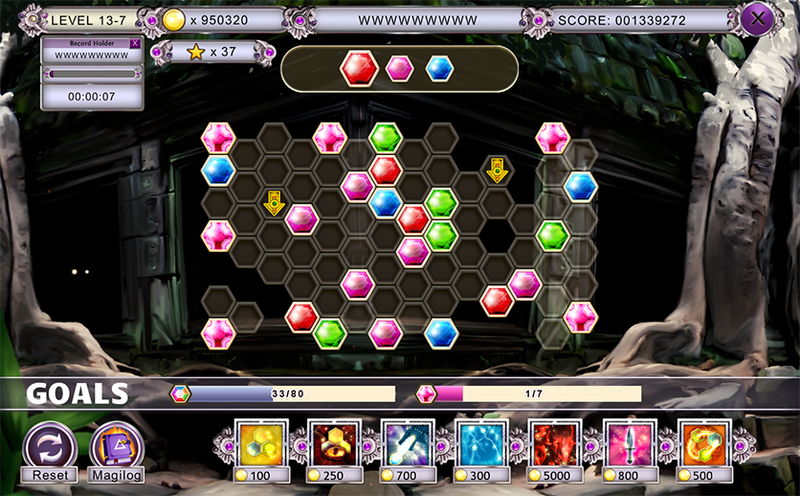 The next step is to activate the bomb to break the block (Figures 4 and 5). All that remains is capturing the cross pink scales and getting 80 scales of any color. Generally, we like to include 2 or 3 tricky levels in our DragonScales games. 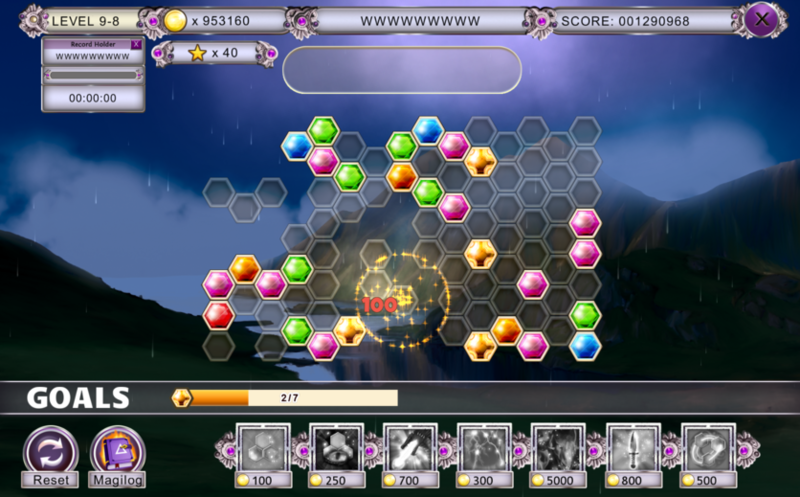 It’s the case for the “Moon Bar” level in DragonScales 1 or Level 3-12 in DragonScales 2. 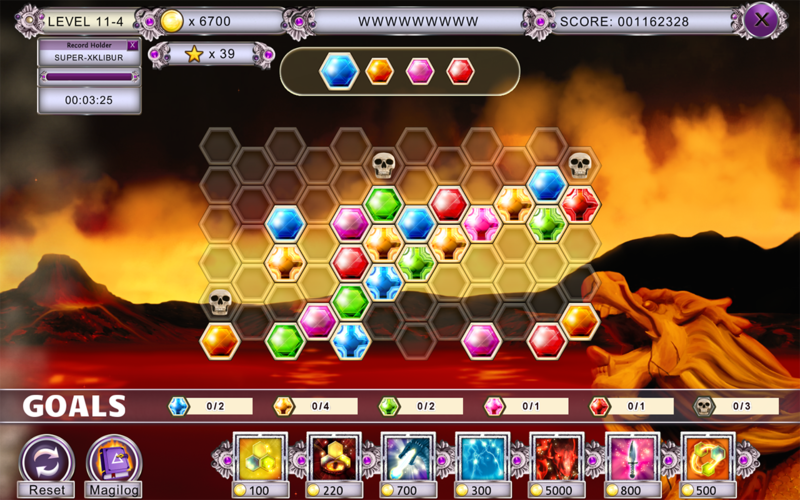 In DragonScales 3: Eternal Prophecy of Darkness we also have a few demanding boards. 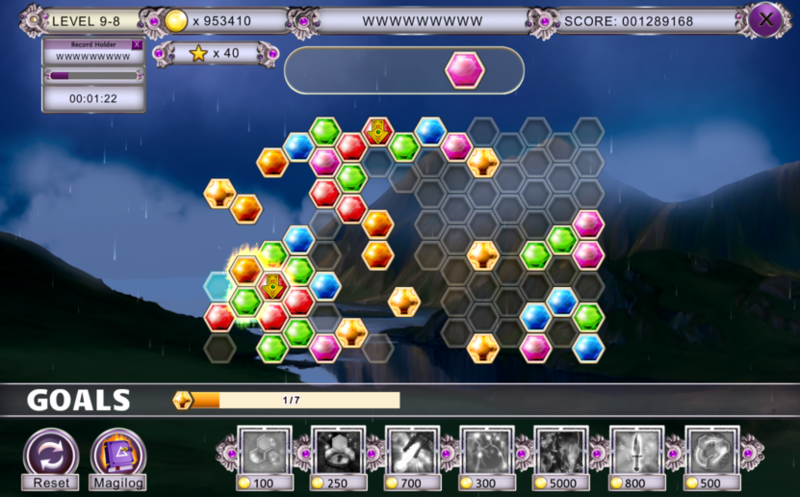 Level 9-8, for instance. 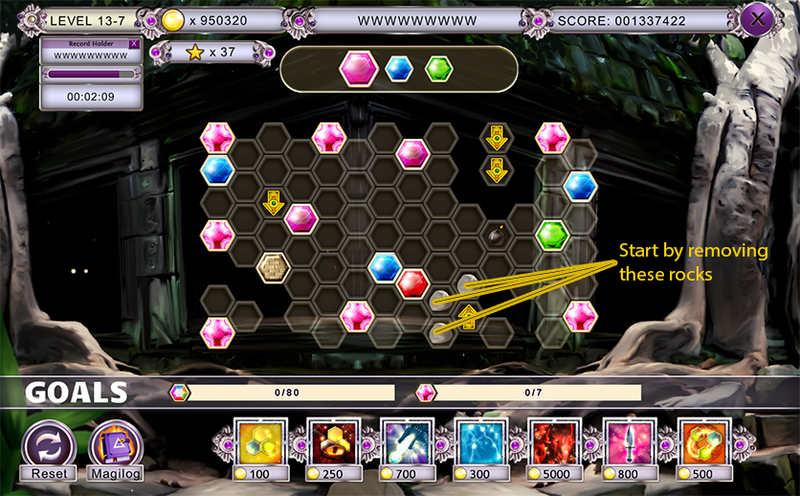 There are two tricky scales in Level 9-8 (see Image 1.) For both scales the key is to setup the required scales beforehand in order to form the match/combination exactly when the arrows are activated. 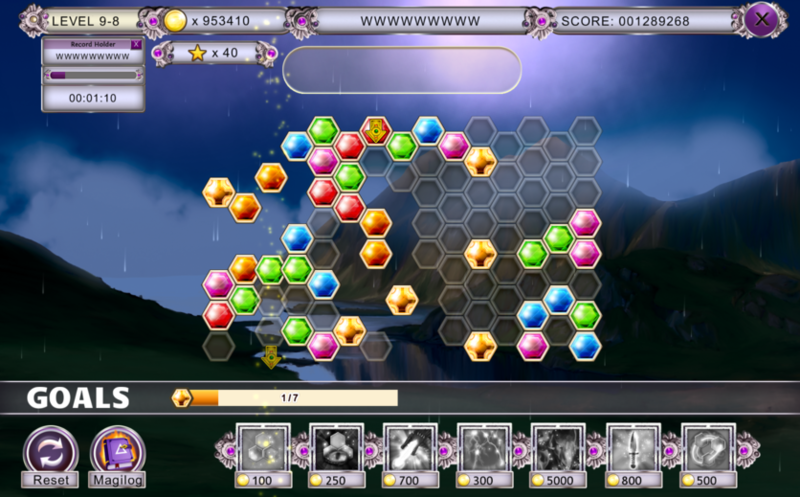 To remove scale Tricky 1, first we have to place golden scales in the near tiles. 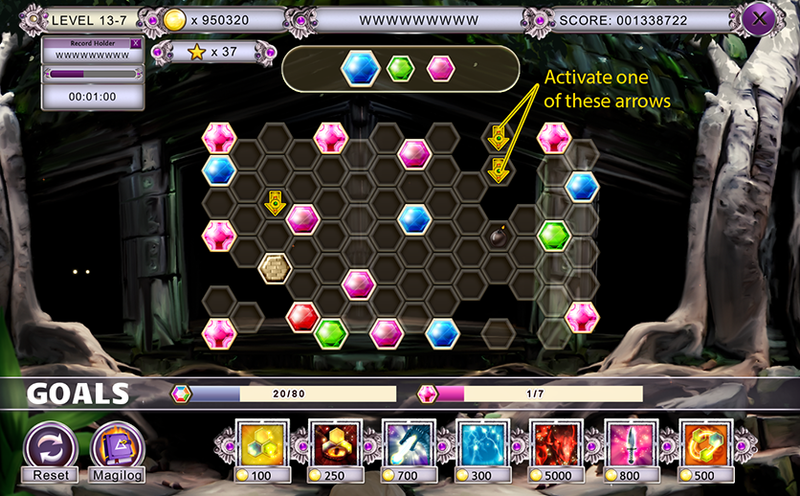 When the two arrows are activated we should have already placed the golden scales we need, and the combination is done after the last of the two bottom-left arrows is activated. 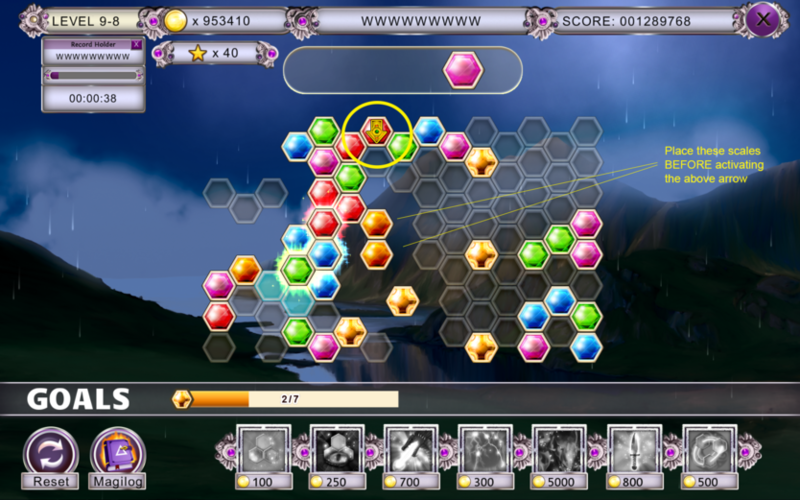 For instance, in Image 2, we have already managed to place two regular golden scales near to the goal golden scale we want to remove (Tricky 1.) 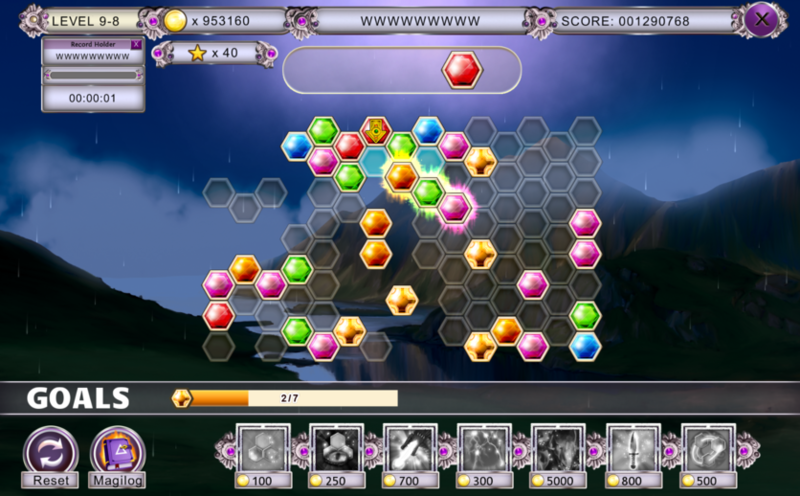 Images 3 to 8 only show a few of our plays to activate the arrows. But the important thing is that the 2 golden scales are already in the right place. 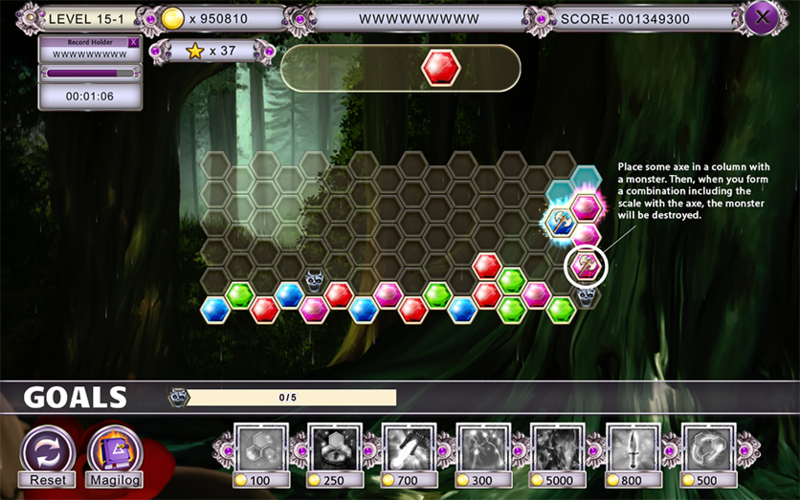 Regarding the scale labeled in Image 1 as Tricky 2: we have to follow a similar procedure. 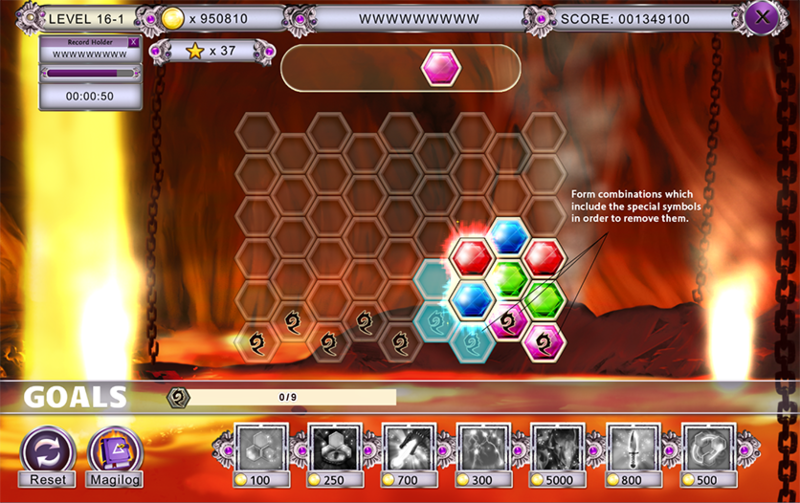 See Image 9. 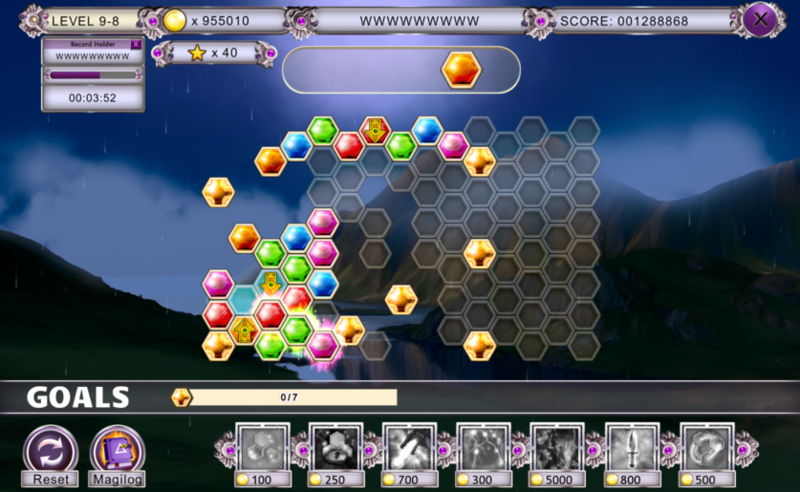 Just manage to place golden scales in the proper tiles, and then keep playing to activate the remaining arrow. See Images 9 to 11. P.S. 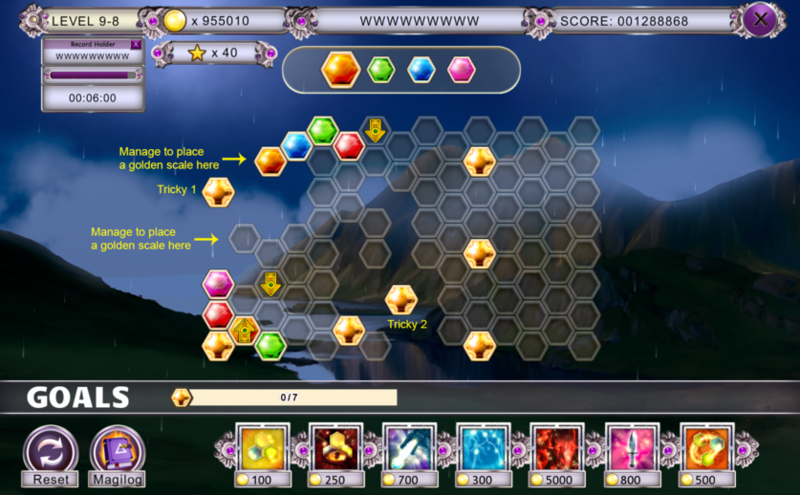 You might be interested in the solution of Level 13-7, also a tricky level of DragonScales 3.